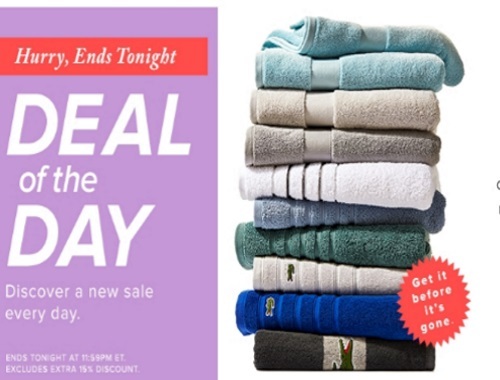 Hudson's Bay's Deal of the Day today includes 50% off select bath towels! Plus save 30% off other bath accessories, robes, shower curtains and more. Offer is valid today only, Monday, February 13, 2017.